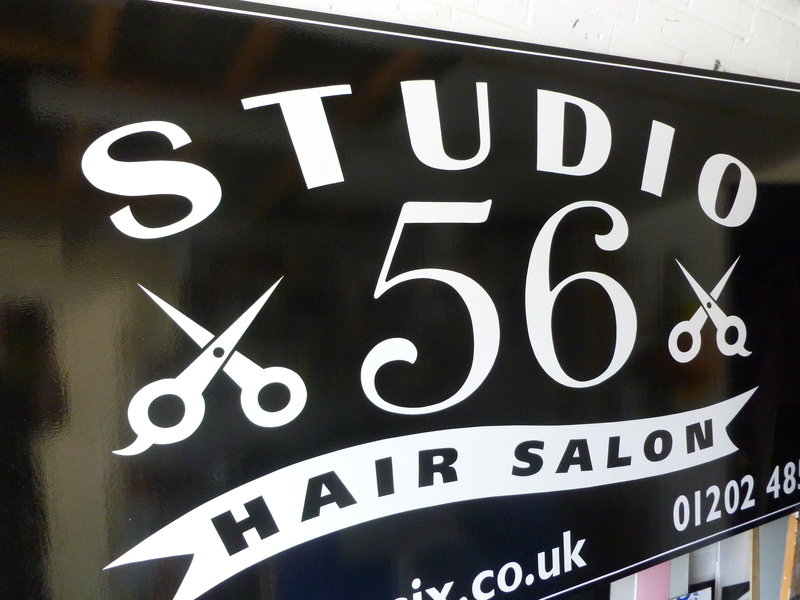 New hand-painted sign just finished for a revamped hair salon in Christchurch, Dorset. This one is significant for me as it’s mostly my own work and I was involved in all stages of production – from the design and layout, to the hand lettering. The client had a strong idea of the style they were after but I was given a lot of freedom with the typography and overall look of the logo and board; and Vaughan was keen for me to see this one through and, apart from assistance with the fascia preparation and second-coating of the lettering, he let me get on with signwriting this one myself. Definitely one to add to the portfolio.